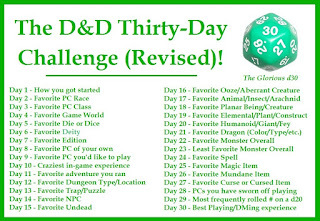 Creative Mountain Games: CMG Extra - "Favorite Trap/Puzzle" Day 13 of The D&D Thirty-Day Challenge! 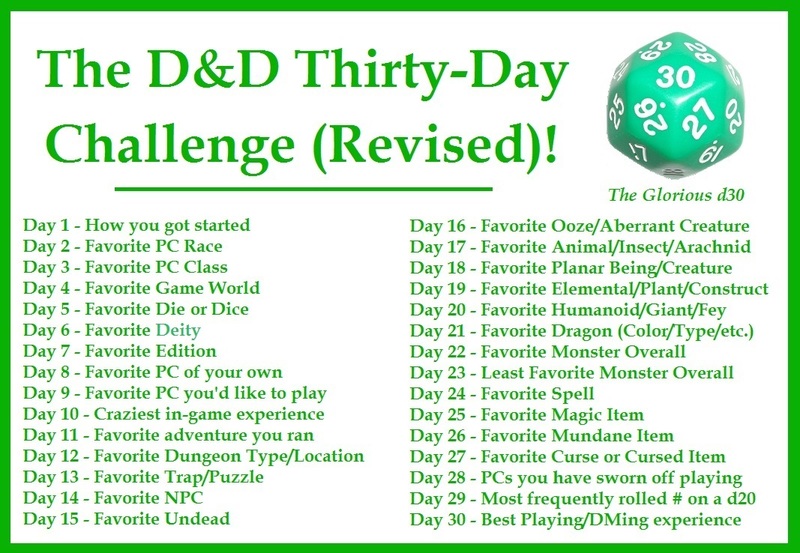 CMG Extra - "Favorite Trap/Puzzle" Day 13 of The D&D Thirty-Day Challenge! 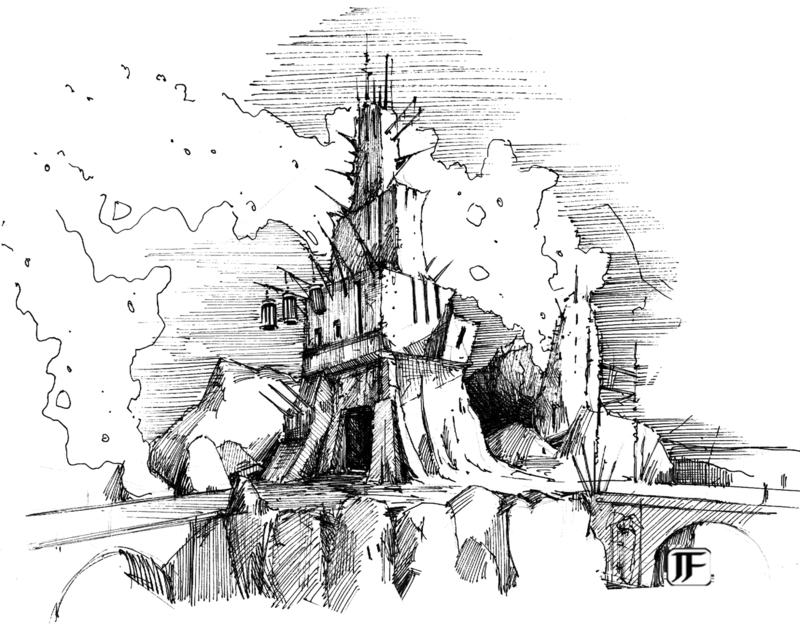 There is a Trap/Puzzle set in one of the Towers of the Dragon's Teeth that my current players have already seen, and taken steps to nullify, so I can discuss it here openly today. I call it the Hallway of Dwarven Apparitions and it can range from being a mere inconvenience to a deadly encounter. Imagine a hallway that has three entrances/exits. A group tackling this tower can conceivably come at this hallway from any one of the three different ways, so it's not just some vial of acid above a doorway. It needs to be troublesome no matter which direction leads to the encounter. So, there's a fifty-foot long hallway with doors at both ends and a short sidepassage, also with a door at the end of it. Now picture stepping foot in this hallway and suddenly hearing a distant warhorn. It should be described as "more like the memory of a sounding warhorn." Within seconds, a group of identical Dwarves issue from one long end of the hallway and double-time their way to the far long end. 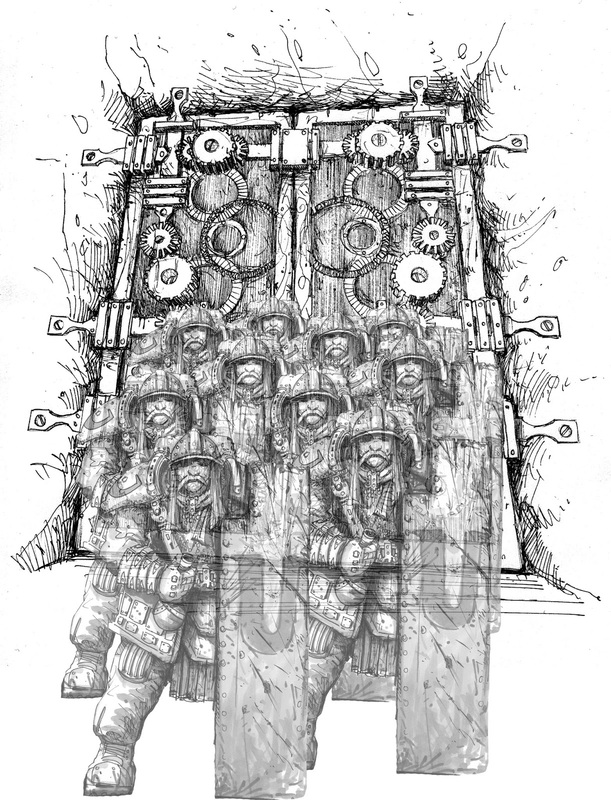 As with the sound of the warhorn, the footfalls, jostling, and equipment of the Dwarven Apparitions should seem like "the echoes of a distant past." 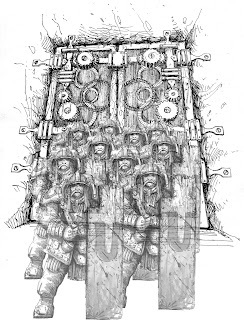 For these Dwarves are an illusion, of sorts (system dependent, of course), and they do not use the actual door but come through it as if they were. However, the Dwarves have a translucence that makes it plain they have no physical presence. So on they march, tramping along from one end to the other and disappearing out the door at the far end but, again, the actual door never moves even though they seemingly make gestures as if opening the door and going through it. All fine so far for any adventurers, it might seem. However, if one of the apparitions passes through someone, as they will if someone gets in their way, the adventurer must make a saving throw versus magic or spell or what have you (again, system specifics apply). The apparitions seemingly take no notice of any person and traverse the hallway as if in a hurry to go somewhere. A single point of damage is taken by anyone failing their die roll with each saving throw and there are twelve of the Dwarves. This number could be raised to twenty Dwarves, if desired or prudent for level! So that's it in a nutshell. Maybe only semi-dangerous but if the hallway is to be traveled, then the apparitions need to be handled in some way. Imagine getting caught down the far end of the hallway and having to go back through all of them. Imagine falling for it more than once! 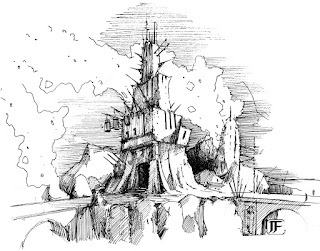 It's one of the favorites I devised for this location in the Towers of the Dragon's Teeth. I hope you can make use of it for your own games.